MARY ELIZABETH (HOOVER) SHEPHERD always carried a notebook and pen in her purse. In airports, doctor offices, waiting in hallways while her husband attended meetings in Topeka, Kansas City and numerous Kansas towns, and while she sat in her living room watching through her picture window. Mary was always prepared for ideas, phrases, colors and sounds that might become poems, essays and drawings. For many years she was an active member of Kansas Writers Club. Some of her poems and short pieces appeared in The Writers Block in THE FORT SCOTT TRIBUNE, while others placed in local and state contests. Although she and her daughter attended several writers conferences together and proofread each other’s writing–often laughing so hard that they disturbed others–Mary did not like submitting her poems, children’s stories and personal essays for publication. She preferred to share them with her children and grandchildren, and recently her daughter compiled an assortment in a keepsake book so that Mary’s great-grandchildren could enjoy them as well. Mary illustrated several of her stories, including her favorite, “Stubby, The Missouri Mule.” She was also a supportive, behind-the-scenes speech writer for her husband, Ray Shepherd. At ninety-four, Mary’s dementia has halted her own writing efforts, but she continues to be an appreciative listener of pieces that are read aloud to her, and even though some of the readings are her own work, she rarely recognizes them. MARYLIN NAOMI (SHEPHERD) WARNER is a writing coach, teacher, editor, and freelance writer. She has had short stories, articles, personal essays, memoirs and creative nonfiction published in numerous magazines, anthologies and newspapers, and has earned several contest awards. Her mother often nudged Marylin in the direction of writing for children, but it was twenty years into her writing career before Marylin tried it. Her first children’s short story, “Two Families, Two Tables” (later retitled “Only The Dog Knew” for publication) won the HIGHLIGHTS writing contest. 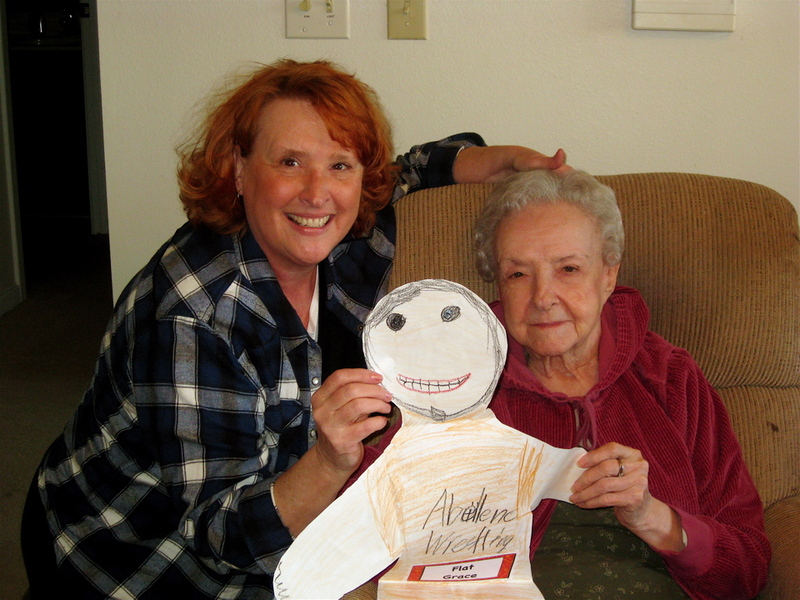 The story was Mary’s favorite and is linked in this blog at HIGHLIGHTS. Marylin has always admired the poetry-writing talents of her mother, and will be forever grateful that she had a supportive, encouraging mother who applauded all her writing efforts–even the stories Marylin sold to TRUE CONFESSIONS–but she admits that her mother was much more enthusiastic when she learned that all those stories sold to Sterling/MacFadden were printed anonymously, without a byline. Through the years, even after Mary quit writing, she continued to encourage and applaud all of Marylin’s published children and adult short stories, articles and plays, and anthology and newspaper essays and articles. Just found your site Via Julia Rachel Barrett, really liked have a look round and there are some wonderful stories here. Thank you, Tom. I just finished reading your blog. In London or in Kansas, our mothers were strong, wonderful and loving women. This is a wonderful Bio … a great tribute to your mom. This is very beautiful and touching. You and Grandma are two of the best women that anyone could ever know….and I am lucky enough to share a blood line with you!!!! Thanks for being such wonderful, strong female role models….. Enjoyed your article in the Chapman paper. I don’t subscribe to the paper but found one laying around and something made me read it, not once but three times, before I caught the article. then I read it three times before I realized that something was familiar and then I saw who wrote it. You wrote like you had grown up in Chapman and had the pride of the town that I haven’t seen for a long while. It seems we feel it but it is not expressed as you did. Very good of you to take the time, hope you do more of it. Thank you. Writing that article helped me clarify my feelings about how Notre Dame treated Chapman, and how it could have been handled so differently and served them both. A compliment from a long-term resident means a lot. Chapman is a wonderful town, and it means so much to Molly, Trevor and Grace and Gannon. Notre Dame is the loser in this; Chapman will be fine. thanks for stopping by my blog and liking a post. Hope you will find time to explore further and perhaps find some photos which “do it” for you, or find some small something which may inspire or assist you along your own life’s journey…which sounds fascinating. And a special thanks for bringing me here to your blog where I look forward to exploring further. Thanks, Jane. You have a fascinating blog. Glad to have you stop by! I know you have some of them already…but I needed to let you know how much I appreciate your posts and your mission! Thank you, Vivian. Your support is kind and much appreciated. Thanks for the “like” on my blog Marylin. I’ll be back soon to visit. You’re welcome any time, Tracy. You have a wonderful blog. Thanks for another like, Marylin. I’m back sooner than I thought. I’ll be signing up soon. I’m working on a new format and blog address, so once that’s up and running I’ll be sure to let you know. I must say, your love for your mom came through loud and clear. I came to visit and to thank you for visiting the Lantern Post … how truly grateful I am to have come! This is the most beautiful introduction I have seen … I am deeply touched. I have a daughter too; she is just about to turn 18. There is nothing like a relationship between mother and daughter. Thank you, Daniela. I agree; there’s nothing like a relationship between mother and daughter. I’m fortunate to be in the middle of two exceptional relationships, one with my daughter and one with my mother. Both are beautiful and talented and wonderful women, and who I am is indeed due, in large part, to having them both in my life. Thanks for visiting Random thoughts. I like the story of the two ladies, it has been beautifully put. Hope Mary lives to hear more stories. I wish her a long life. At 94, she has had a long, full life. The dementia has erased or confused many of the memories, but I’m trying to record as many memories as possible for her great-grandchildren. Thank you for your comments. Thank you very much, Daniela. I’m honored by your support and for nominating me. However, I have already been nominated for this award. I am a fan of the wonderful topics and writing of your Lantern Post, so I’m grateful for this nomination from you. Hi!! thanks dear Marylin for visiting my blog, yours is also awesome, I can feel the love between mother and daughter will follow you to keep in touch. Thank you, Cynthia, for the lovely comment and for following the blog. Welcome! What an absolutely lovely blog. I’ll be back to visit. Thank you, Jessica. I look forward to your return! You have great things going on here, well done! Many thanks for stopping by my blog. I am thrilled to see you mention Highlights Magazine–I LOVED that magazine, as a child, and one story stayed with me all my life–about the dog in Japan (? ), faithfully waiting for his master at the train station; they made it into a movie with Richard Gere (not quite as good as the story, I thought). And what a blessing, for you to have a mom who applauded your writing–I’m a bit envious. After winning the contest, I went to Chautauqua, NY for HIGHLIGHT’s workshop, and then later after I sold them a second story, I also went to the homestead in Honesdale, PA for a week-long writer’s retreat. We stayed in our own cabins, had chef-prepared foods, and always had dinner with interesting writers and editors who came for the evening. HIGHLIGHTS has a legacy of supporting writers and good stories for children, and I’ve enjoyed working with them. It’s a wonderful staff. How nice to be associated with “Quality”!! HIGHLIGHTS has another story writing contest coming up in early 2013, Caddo. If you’ve ever considered writing a children’s story, this is a great time to try. There’s no entry fee, and it can change your life! Oh my goodness, what an invitation! I’ll ponder it–I’ve never written for children. Thank you for your wonderful spiritualmysticism blog. I look forward to reading more of your posts with my mother during our visits. On clear vision and thinking days, my mother will love your art, Mary. She used to illustrate her own stories and will love your use of color. Welcome to our blog! What a great portrait of love and affection. I look forward to reading more of your writing. What a great relationship you have with your mum. Your blog reflects the wonderful gift of writing she has nurtured in you. She had indeed. Even though we wrote very different kinds of stories and in very different styles, we went to several writing workshops together and always edited each other’s work. Her support and encouragement taught me to do the same for others. 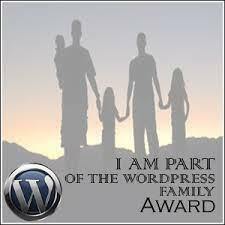 I have nominated you/your inspirational blog for the Family of Bloggers Award! 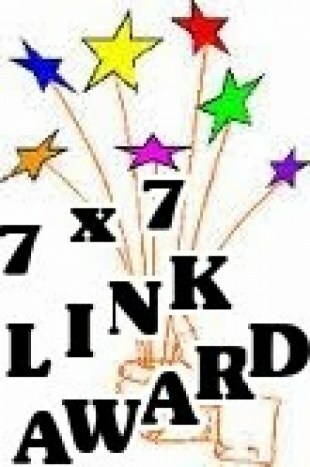 http://faestwistandtango.wordpress.com/2012/11/27/family-of-bloggers-award/ Enjoy! 😀 ♥ Fae. Thank you for visiting us. Please visit again. Marylin, thanks for your lovely comment. I really appreciate it. You’re welcome any time, Frances. You deserve it! 🙂 Congratulations! Marylin, what a wonderful thing you are doing with this blog! I love it! Thanks for finding my family blog, it’s been a thrill to uncover old family photos, try to make some sense of them, and give the relatives a place to share stories. Keep telling your family stories! Thank you, David. I loved discovering your blog…and the photos are a delight. What we’re doing–recording family memories for the next generation–is very important, and great fun, isn’t it? A loving tribute. You are truly fortunate. Thanks for stopping by one of my blogs. Glad you enjoyed the post about Bugarach and yes we are still here. Perhaps one day you will visit my poetry blog as well? I’m genuinely grateful for your belief in this blog, Marsha, and for giving me this award. However, I have already received it. But your praise–and your comments on some of the posts–means so much to me. Thank you. And thank you, too, for being part of my blogging life. Marylin, I wanted to thank you so much for directing me towards the NLAPW. I really appreciate it. I also wanted to say how much I enjoyed reading your story above, it was very special reading about the delight of writing that you and your mother share and still enjoy together. My grandmother lived to one hundred but for the last four years had little short term memory and I can remember the day she introduced me to someone as a niece. She used to tell me I was her favourite grandchild and to realise she no longer knew who I was broke my heart. It is a heartbreaker. But you tell yourself to remember two things: 1) she really is doing the best she can, and more importantly 2) by introducing you as a niece instead of her favorite grandchild at least assures you that, even with the loss of memory, she does remember you as someone important, someone connected to her and loved. At this point, we take what we can get and treasure it. Thank you so much. Please visit again. Thank you so much. I look forward to more visits. Thank you so much. Please stop by again. I have bookmarked your place. I like this concept – Letters to My Mother. I have had three…The first though passed while I was very young. Though I still think of her often and would like to think that part of her is expressed in the current words that I write. I’m sure a part of her is expressed through you. Please visit again and share your insights. Thank you so much, Maryam, and we’re so glad to have you join our adventures on this blog. I look forward to hearing from you. What a great blog. Thanks for visiting mine. You have a wonderful blog, and I love the pictures, the parables…and especially the writing! Thanks, Marilyn! I value that. Thank you so much. Such a sweet compliment, and I’m touched that it made your day. Please visit again. Thank you so much, and welcome to “Things I Want To Tell My Mother.” Your English is very good, and I enjoyed your post, Future Tense. It’s nicely done. You write very well, and I’m so glad to have you joining this blog. As you’ll see, we have all kinds of comments and responses, and I welcome your input! You are so sweet. Thank you. My mother was an amazing woman before the dementia took hold, and even now she’s gracious, kind, and good natured…but she has no short-term memory. I love your story and the letters to your Mom. What a beautiful way to continue to honor her and for her to continue to share your writing journey. Thank you. I’m so glad you’ve joined us. I had read one of your posts on sensory issues and found it fascinating. There’s so much we are just now learning, and it’s not just about children. Yes, there are many adults with sensory Hyper and hyposensitivity too. There is so much we still do not understand about neurology and the human brain. Mothers are special people and leave us with so many precious memories to think about every day. We should celebrate every day with them as long as we can and hold their hand, hoping they remember us. Your mother is beautiful and this is a beautiful tribute to her, Marylin. It certainly resonated with me as I’m dealing with a recent dementia diagnosis in my family. I’ll look forward to reading your posts. Thank you, Jill. We’re glad to have you join us. Everyone is generous about sharing helpful hints that make life easier for victims of dementia or Alzheimer’s and their family and caregivers. I found my way here after reading your story and bio in The Progenitor. Beautiful work 🙂 My Fired Sun photo is on its cover so I wanted to find out more about my fellow contributors. My mother, who died in January, came from Waverly, Kansas and I spent a few years in Manhattan and most of my childhood in KC. I look forward to reading more from you here and elsewhere. So good to meet you! I’m in Kansas after visiting my mom right now, so I haven’t yet seen the issue of THE PROGENITOR with your cover art and my story. Are you living in Colorado now, too? Thanks for stopping by. Yes, I live in Littleton now. Where are you? Both of us Kansas influenced and Colorado settled. I’m really enjoying exploring this blog. I really like how you and your mother have found a wonderful way to share her poems. I have an elderly father and am always trying to think of ways that will enable him to better utilize his abilities (rather than focus on his disabilities). .
With my mother’s dementia, I try to organize her writing, especially the poetry, and also share stories I remember that will help her great-grandchildren know her better. If you have some way of working with your father, maybe recording the stories from his life that he shares with you, you might find that it brings you closer together and gives him something important to do. That’s just one suggestion. I wish you every success finding something to encourage him. Thanks for your comments, Sheryl. What a beautiful “about” page! What a beautiful way to share your mom’s stories. I’m glad I found your blog through Jill Weatherholt’s site. Thank you so much. Please visit again! Hi Marilyn. Enjoyed reading your blogs. What a devoted daughter you are. 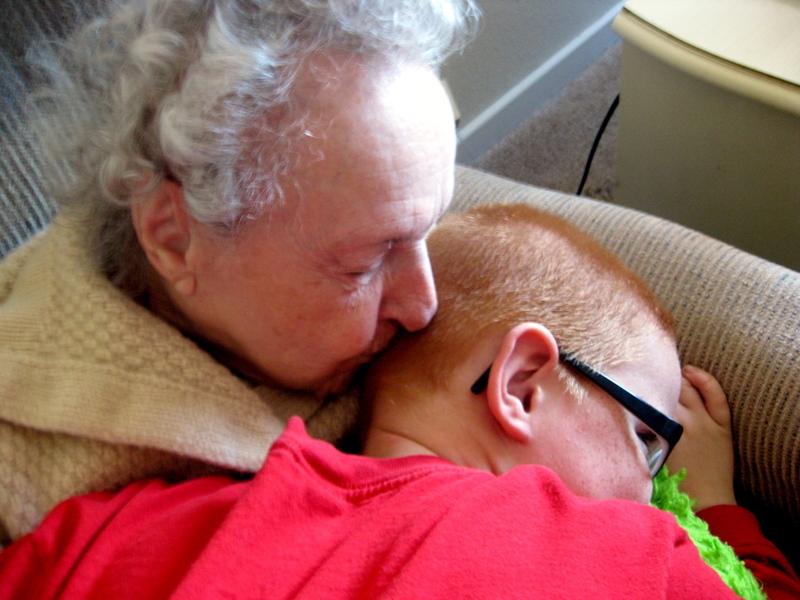 Having cared for my mother for 13 years I know it has both good and difficult moments. But in the end, I’m glad I was able to do it. I lost my brother to early onset Alzheimer’s in 2010, so know what heartache you have experienced with both your parents. I noticed your picture of the hiking trail in Buena Vista. We visited our good friends there on a few occasions (they have since moved back to Denver). Once while there, we rafted the Arkansas River. Quite an experience! Looking forward to future blogs. I’m glad to meet you, Al. We both understand the struggles and heartache caused by Alzheimer’s and dementia, and it seems we both also enjoy the area around Buena Vista. In 1981 I almost took a job teaching English in the prison in Buena Vista. I loved the area, and the pay was much better than what I was earning in public education in Colorado Springs. But signing the contract–which included fine print about prison conflicts and hostage negoitations–made me change my mind as I was a single parent with a 3 year-old daughter. But still, when we visit BV and Salida and Leadville, as I did recently with my daughter and grandchildren, I’m still stunned and amazed by the beauty of the area. Their house was right across the Arkansas from the prison. My wife and I have already met one blogger from Colorado the last time we came to visit. It’s Stacia at http://winsomebella.wordpress.com/. Maybe we can do the same with you on our next visit. Hello Marilyn. I’m coming over to you from Tracy’s pumpkin party! What a lovely introduction of you and your mother and both your writing journeys. I am very touched by your story. I am a late bloomer to full time writing, enabled by a serious of difficult circumstances (funny how that happens!) and I am also my daughter’s carer (she was diagnosed with Asperger’s Syndrome when she was 18, she is now 21). Thank you, Sherri. Welcome! I hope you’ll join us again. Good morning Marylin, I just wanted to let you know that I’ve nominated you for the One Lovely Blog award because I think you, you mom and your blog are so lovely! Oh, Sherri, you are so thoughtful, and I’m honored you thought of my blog for this award. However, about six months ago I stopped accepting awards when I received three in the same month and realized how much more important it was for others who were getting started. So I wrote each person who nominated me and asked them to please give the award to someone who showed promise and would receive extra encouragement from receiving the award. Your blog has quite a following and is filled with inspiration and enthusiasm, and I know you’ll find the perfect blogger for this award. Thank you Marylin and what a lovely idea! I do really love being able to encourage others as I’ve been encouraged by so many. I remember the first time I received an award, I had no idea what it was and certainly never expected to receive such a thing and I was so uplifted and delighted! Thank you. I looking forward to having you visit us again. This is such a sweet creation, Marylin. My father also is suffering from dementia, but our relationship is nothing like yours and your mother’s. I hope that she has lucid moments when she can remember things as you relate them and get pleasure from your stories. I’m sorry you and you dad are going through this, too, Steve. But I’m glad you stopped by, and I hope you join us again. Sometimes we come up with some helpful ideas that make the process easier. This is a beautiful ‘About’ page, Marylin, It’s very interesting what you tell us about your Mum. I am already a great-grandmother too, but I am ‘only’ 79! 🙂 Thank you for your visit. Wishing you and your family a lovely Christmas! And I wish you and your family a wonderful Christmas, too. Please join us again. That is so kind of you, Ilka, and I’m honored by the Seven Awards nomination. Thank you. I stopped accepting award nominations last year, though. I have only a certain amount of time to devote to the blog each week, and with each award comes a list of requirements and postings and nomination connections, and suddenly I’m out of time and energy to do that week’s post. Please accept my thanks, but offer this award to another blogger you believe will also deserve it. Thank you, Lisa. I appreciate your comment. My own mother was/is part of my writing journey too, Marylin, and I love that you include yours in “about us.” When I found my mother’s 1942-1944 journal, I located a deep reservoir of desire to write and was able to tap into that well as I wrote my memoir BLUSH. Thanks for the comment on Tracy Lee Karner’s lovely blog post. I hope we can stay connected. As a blogger who writes about issues related to caregiving, we would love for you to participate in our second #Blog4Care blog carnival, which will focus on issues related to caring for our aging parents. This is the moment we are in: Millions of us are caregivers, and caring for our aging parents. More than one out of every eight Americans is over the age of 65, and that number will more than double by 2050. Seventy percent of older Americans will need long-term care at some point in their lives. We need to prepare for and embrace who we are becoming as a nation, and find a way to ensure we can all access quality, dignified, and affordable care when we need it. We will be publishing the #Blog4Care blog carnival in July, with a range of personal and policy perspectives on caring for our aging parents. Do you have an opinion, analysis or personal story you want to share? We want your voice to be part of it! •	Are you a member of the sandwich generation and a caregiver for an aging parent? •	Do you worry about how you will care for an aging parent in the future? •	Do you work full-time while also being a caregiver for your mother or father? •	Do you agree there needs to be more support for caregivers and aging Americans, and do you have ideas on what that could look like? If you are interested in participating, please see the detailed guidelines below. The deadline to submit a blog post is Monday, July 21, 2014. A blog carnival is an online action that aims to utilize the growing power of our combined reach on social media (blogs, Facebook, Twitter and more) to jumpstart — and jump into! — a national conversation. This blog carnival about caregiving and caring for our aging parents will feature links to blog posts on topics ranging from the personal to the political. We’ll put the links to these posts together in one overarching post that will serve to host and introduce the blog carnival. In addition, we’ll amplify the blog carnival post on our Facebook page and with tweets from the Caring Across Twitter account @CaringAcrossGen using relevant hashtags. Thank you so much for wanting to be part of our second #Blog4Care blog carnival. Below, you will find general information as well as a how-to for how to post. If you have any questions or concerns, please do not hesitate to reach out. CONTENT GUIDELINES: Caring Across Generations invites you to write stories and opinions from the personal to the political. We ask that you focus on the topic of this blog carnival, which is “Caring for our aging parents.” Blog posts can be just a few paragraphs or much longer, but we recommend your post be about 500 to 800 words. Caring Across Generations appreciates original content and we are also happy to re-post previously written content as long as you add a sentence or two on why this post is relevant to this particular blog carnival. WHAT TO SUBMIT ALONG WITH A POST:. The more blog posts, the merrier (and the bigger the impact we’ll have overall). So in addition to submitting your own blog post, if you know anyone else who may like to participate, feel free to share this #Blog4Care invitation with them. The blog carnival will take place over a week-long period beginning at the end of July. The deadline for submitting your post URL is Monday, July 21, 2014. When the #Blog4Care blog carnival is published, each post will be tweeted and retweeted with pertinent hashtags. All tweets will be posted with the #Blog4Care hashtag. We encourage you to search for these tweets from @CaringAcrossGen to retweet them from your own account, and to comment using the appropriate hashtags and tagging @CaringAcrossGen in your tweet so we can respond easily to thank you! We also encourage you to send these tweets to those in your online community and to other bloggers to invite their tweets and comments. Please let me know if you have any questions, and I look forward to your participation in our second #Blog4Care! What a wonderful tribute to your mom. I lost my mom over 10 years ago, I lost my dad last year and my brother this year. I cherish every moment I had with them and I miss them terribly. I love this blog. I cannot believe I found you. I don’t think you will remember me but I was one of your students at Doherty High School in Colorado Springs. You was my English teacher in 10th and 12th grade and Mr. Warner was my teacher in 11th grade. You were my absolute favorite teacher in high school. I have been searching the internet for a bit looking for some of my teachers and I cannot believe I found my favorite. I hope you remember me from so many years ago. You had a big influence on me in high school. Take care and tell Mr. Warner I said hi. Oh my gosh, Eric. Yes, I remember you–or at least your name and what you looked like at Doherty H.S.–though we’ve all probably changed a great deal since 1986. Thank you so very much for the wonderful comment and the touching compliments. I hope you’re happy and doing well. Jim says to tell you hi, and we both wish you the very best. Marilyn, thank you for liking my blog post. I must say I am deeply touched by your blog.and the work you are doing. The relationship you are preserving in these stories. Many of my posts are humorous but I also do others which I draw from a well of stories that comes from years of story making. Your story reminded me of the post I did for Mother’s Day. It is fiction but much of it is drawn from my mother’s life.I wrote it not only to honor my own mother, but all the mothers. It’s called Mother of the World. http://unclebardie.wordpress.com/2014/05/11/mother-of-the-world/ I found it very healing to write it. Thanks for sharing this, Don. “Mother of the World” is not just for Mother’s Day, but every day. Very specific and touching, a tribute to mothers everywhere. such a wonderful way to pay tribute to your mother. I really enjoyed reading your blog. Thanks you. Please visit again. Hello! I found you today–no accident–through the posting by Jake on Roald Dahl. And there you are. What a great site. I think we have very much in common, if you peruse my site. Especially, now, please look at “YOUR MOTHER IS NOT GOD!” “SHE’S NOT?” in last year’s 5-9-2014 posting. .